_Kevin loves to speak at conferences, reading councils, universities, schools, libraries, and anywhere to share his love of creativity and to help inspire others in the world of books, music, literacy, education, health, and more. Each presentation can be focused on certain themes and the length can vary from 45 minutes to an all day session. 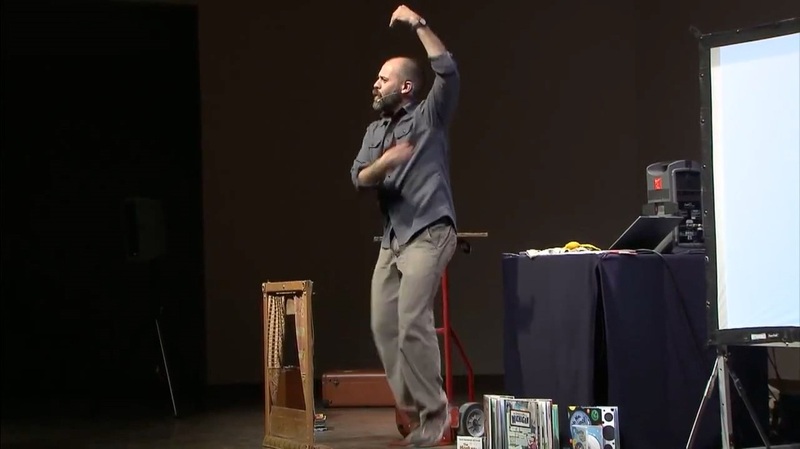 Inspiring Active Imaginations through Poetry, Puppetry, Music, and Movement! This high energy, interactive presentation is packed with lots of ideas to motivate students to be creative thinkers and stronger writers! 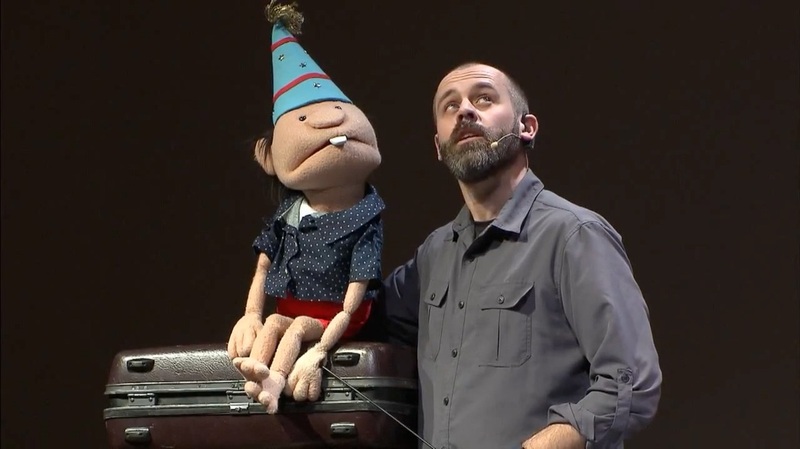 Kevin will share practical ways YOU can integrate puppetry, music, movement, and fun writing prompts into your teaching environment. He’ll share insights from his 15 years of experience and also feature ideas from his brand new book and CD, Spinach Dip Pancakes. Kevin can also share some behind-the-scenes of making books and music. Do you have a specific theme or focus you'd like for the presentation? Just ask! "...motivated our teachers to be more creative and reinvigorated some to think out of the box and/or pull some of their old tricks out of their old boxes!" "Kevin is able to engage an audience and captivates us with his down to earth charm. He shares his passion so we can share it with children." "Awesome class! I learned how to get creative and how to use puppets with books and music... Amazing ideas!... I'm going to turn our daily rules into songs... I have seen Kevin 3 - 4 times and still walk out with ideas and enthusiasm. Love him!...It's ok for me to be goofy when I sing... I want Kevin to be part of my daycare... Books are like a script for performance... What a blast!" "Kevin put on an inspiring and active workshop for early childhood educators at our library that left participants feeling re-charged and excited about sharing books, music and puppets with the children they serve. Even teachers and librarians who have been in their profession for many years learned new ways to develop interaction and participation in their story times. 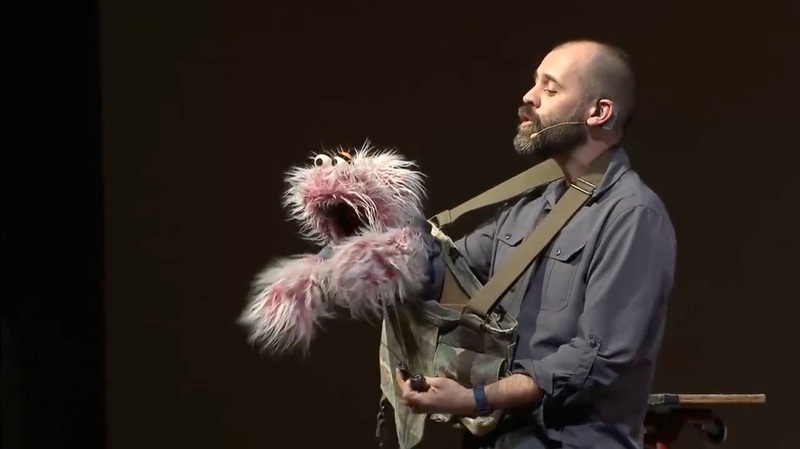 Kevin taught us ways to make children more than just our audience; using the techniques he shared we can help children become co-creators in the performance. I think Kevin does a great job of encouraging creativity in both children and adults. Kevin is a sincere and passionate presenter and his enthusiasm is contagious." "Your presentation for Michigan Libraries 2011 Spring Institute was inspiring and entertaining. I learned so many practical and fun ideas to use at our library!" "Kevin invites the audience into a world of excitement with encouraging ideas and expressions that create confidence to share what they have experienced and learned with others." 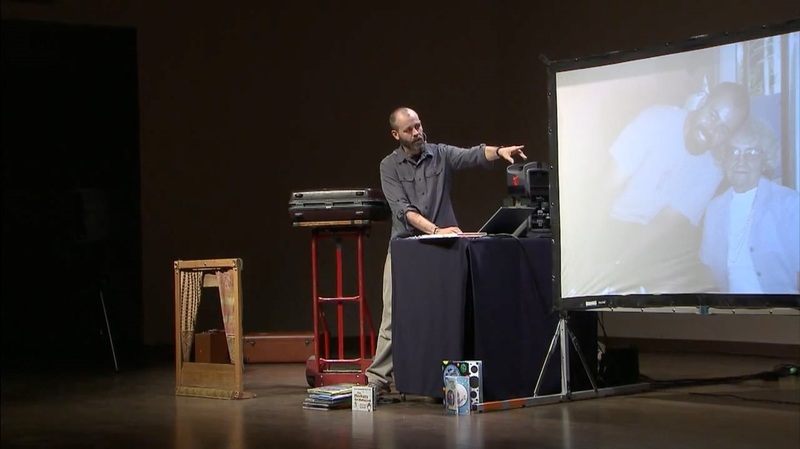 Kevin Kammeraad - Inspiring Active Imaginations through Poetry, Puppetry, Music, and Movement from Cooperfly Creative Arts on Vimeo. Increase your students' cultural literacy and global awareness by joining Stephanie and Kevin in this fun and informative session as they lead you on an interactive musical and children's literary journey around the world, filled with stories, songs, and facts from each of the seven continents! Learn why multicultural books are important for ALL children, how to infuse your curriculum with them, and what resources are available to help you! This session can be broad as stated above, or feel free to contact us to request a specific country or continent focus. Kevin shares his personal adventures as an artist. He'll share his start in the field, adventures along the way, and engage us in a discussion about the creative process. He'll share examples of his works as he answers questions. Insights on writing and revision will be shared, along with behind the scenes photos and stories. Throughout the program, he'll be sure to keep it lively with just the right amount of performance mixed in. 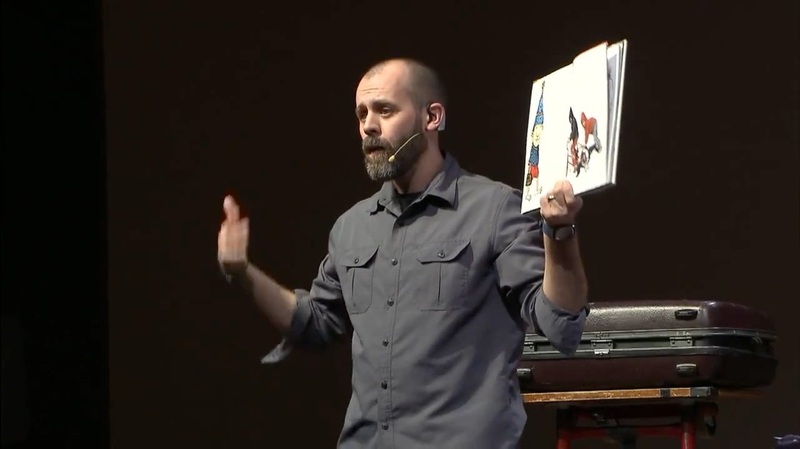 In this dynamic creative thinking and problem solving session, Kevin Kammeraad, children's author, artist, and performer, encourages us to think outside the box! The more students are encouraged to think creatively and to problem-solve, the better equipped they will be in life. Kevin will have us wondering, thinking, questioning, any maybe leave us a bit perplexed, yet inspired. The focus of the presentation is not meant to specifically give info that fits right into your curriculum, but instead to basically question your curriculum and to reconsider the way you do things. Kevin also talks about the simple importance of getting enough movement, rest, water, and oxygen (efficient breathing) and how this connects to learning.